If you struggle to hear the telephone when it rings, or if you find yourself straining to hear telephone conversations, then a handset offering adjustable amplified volume settings could help improve this. 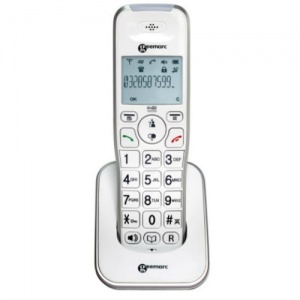 The Geemarc AmpliDECT 295 Corded and Cordless Telephone Combi provides volume adjustment to help enhance your telephone use. The corded telephone has an adjustable ringer volume of up to 70dB, so you won't have to worry about not being able to hear the phone ringing. A loud receiver volume (up to 30dB) makes phone calls clearer and easier to hear, ensuring you hear every part of the conversation. It is also compatible with hearing aids, making it ideal for providing different users with a more pleasant and reliable telephone experience. The inclusion of three large photo buttons enables different numbers to be programmed into the phone's memory. This means that both emergency numbers and those of family and friends can be dialled at the touch of a button. This will be particularly important for anybody with memory issues who benefit from relying on visual representations. 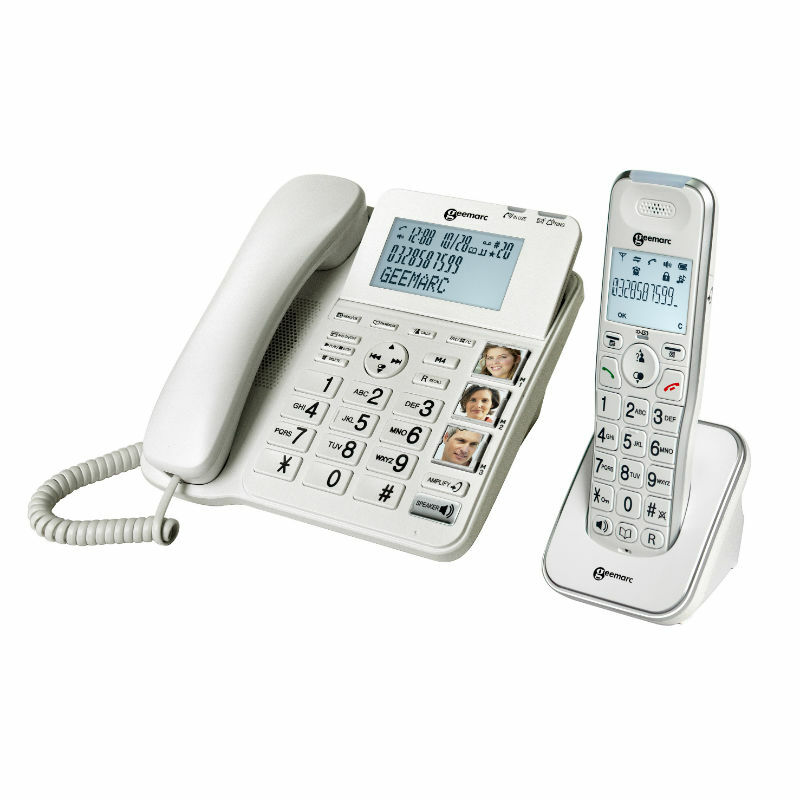 The cordless telephone can be kept in its cradle when not in use to help ensure that it is not misplaced. This will be useful if you suffer from memory difficulties or would struggle to quickly locate the phone when it rings. Due to the cordless nature of the phone, you will also have the option to carry it with you around your home, receiving up to eight hours of continuous talk time. The ability to move the handset between rooms will be ideal for when you are waiting for a phone call but don't want to remain seated by the cradle. It also allows you to walk about while taking calls. You can even take the phone into your bedroom at night for peace of mind that it will be within easy reach should you need to make or receive any urgent calls. The AmpliDECT 295 phones provide additional features to further improve their practicality. The built-in phonebook can store up to 50 numbers, so you don't need to worry about committing them to memory or trying to remember where you last placed your physical phonebook. It also features display screens and larger button designs, both of which are useful if you suffer from visual impairments or reduced dexterity. The hands-free speakerphone will also provide further support if you find it uncomfortable to hold the phone for extended periods of time. With Caller ID and a redial button, the AmpliDECT 295 Combi can help reduce any struggles that arise when using the telephone.